Jens Petter Berg, head of research at the Division of Diagnostics and Intervention, has recently contributed to the Oslo University Hospital research blog (in Norwegian). He emphasizes the values of basic research and discusses how basic and applied science are mutually dependent of each other and that collaboration should be encouraged. As examples he goes through translational research, presicion medicine as well as the development of diagnostic test methods. 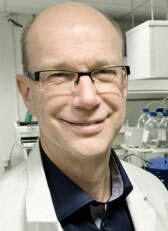 Home page of Jens Petter Berg's research group "Biochemical endocrinology and metabolism research group"